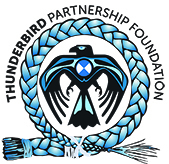 The Thunderbird Partnership Foundation is proud be hosting the plenary session “System Transformation – Accelerating Working Together” and to be a co-host of the “Reconciliation in Mental Health” Leadership Exchange event for IIMHL 2015. See below for more details! The International Initiative for Mental Health Leadership (IIMHL) is a unique international collaboration between Australia, England, Canada, New Zealand, Republic of Ireland, Scotland, USA, and Sweden that focuses on improving mental health and addictions services. The IIMHL organises systems for international innovation sharing, networking, and problem solving across countries and agencies with an overall aim to provide better outcomes for people who use mental health and addiction services and their families. The next upcoming IIMHL conference will be hosted by the Mental Health Commission of Canada (MHCC) and the Public Health Agency of Canada from September 21-25, 2015 in Vancouver, BC. The Thunderbird Partnership Foundation and the First Nations Health Managers Association (FNHMA), both of whom are members of the Wharerātā Group, are honoured to host the “Reconciliation in Mental Health” Leadership Exchange on September 21-22, 2015 in the Musqueam First Nation Territory’s Cultural Center in urban Vancouver. This two-day meeting will bring together Indigenous leaders in mental health and addictions and their allies from across the IIMHL member countries. Many participants will continue on to participate in the IIMHL Network Meeting on September 24-25, 2015. Using the First Nations Mental Wellness Continuum (FNMWC) Framework, Carol Hopkins will identify how Indigenous knowledge and culture can guide the transformation of mental health systems and services for the benefit of all – Indigenous and non-Indigenous. Carol will also address what needed to happen to get (new) partners involved in the FNMWC Framework as well as the best and promising strategies to bridge Indigenous and non-Indigenous perspectives to transform systems. The Thunderbird Partnership Foundation is a member of the Wharerātā Group which is an international network of Indigenous leaders working in mental health and addictions. We share a vision of the near future in which Indigenous peoples sustain their optimal health and wellbeing and contribute to that vision through strategic use of our Indigenous leadership influence on mental health and addictions systems. Learn more about the Wharerātā Group here. The IIMHL hosts this week-long learning event about every 16 months. IIMHL events are held in conjunction with the International Initiative for Disability Leadership (IIDL). Monday-Tuesday: Small Leadership Exchanges (like pre-conferences) will be held all over North America on various topics. Wednesday: A travel day for participants to get to the Network Meeting. Thursday-Friday: The Network Meeting (plenary) will be held in Vancouver with all participants.